Two items of interest popped up this month (March 2013) – both will be of interest to those looking for signs of stirrings in the property market. While the Irish market remains quite moribund, there are some indications that investors are starting to dip their toes back into the water. It’s probably no surprise that they are doing so overseas, considering the state of the Irish property market at this point in time – hence the buying property in Montenegro title of this post. The first indicator I had was a Public Relations representative contacting me about a prospective press trip to Montenegro, this is the closest there’s even been to a mention of such an offering for nearly four years. It may not seem like much, but if a company is prepared to spend its hard come by cash on flying some journalists to see what it has to offer then there is reason to be positive. The second, probably more immediately obvious, indicator is those Eddie Hobbs US Property adverts strewn around the media. The Eddie Hobbs one I’ll deal with anon – see here, for now we’re dealing with Buying a Property in Montenegro. Montenegro is a place that is very dear to my heart. I’ve visited on a number of occassions, the first of which was just prior to the cessation of its links with Serbia. At the time many Irish piled into the market and I got a fair amount of feedback from a number of them that they did very well on their speculative gamble. I had no doubts at the time that this is very much what the purchase of a Montenegrin property was – a speculative punt – but the Irish were in a mode where speculative punts were all they really wanted. As such, it was a fairly easy one to predict and many Irish did very well – as long as they didn’t get greedy and took acceptable profits when they materialised. (Note: This article was written prior to July 2013 when Vladimir Putin advised all Russian officials to sell their overseas assets and prior to the huge slide in the value of the Rouble in 2014). Buying Property in Montenegro – Where is Montenegrin Market Today? So where is the Montenegrin property market today you may well ask? There is still no doubting Montenegro’s charm, as they say in football parlance ‘class is permanent’. This particular attraction is not likely to ever disappear. I would estimate that three of the ten things I would advise anyone to see in the world are in Montenegro. The gorgeous walled fjord town of Kotor along with the glorious fjord itself, the wonder that is the island hotel of Sveti Stefan and the fabulous and intriguing old town in Budva. In their own right all three make Montenegro worth a visit, even if you never buy anything there. In the overseas property domain Montenegro stands as more affordable than Croatia, to which it is always likely to be likened – the property bust probably saw to it staying there for a while. There is demand in Montenegro, unlike many other countries, most of it coming from Russia. This has kept the market afloat when many others have foundered. It is, however, still affordable, which gives it a distinct advantage over neighbouring Croatia, particularly around Dubrovnik, which hit very high prices on the back of wild speculation. Montenegro is likely to do its own thing and plot its own course over the coming years. The liklihood is that there will be some capital appreciation, although it may not be as stratospheric as some would have you believe. Rentals, should you desire them, will be strong in the summer and appallingly poor in the winter – those mountains do attract quite a bit of rain so you may want to bear that in mind if you’re going to visit on a regular basis. Rentals won’t pay a mortgage if that’s what you’re thinking. There is the attraction of the Euro, which the country adopted right from the start – but this could be more of a hindrance than a help depending on how the Eurozone manages to sort out its finances in the coming years. Buying Property in Montenegro – What is the Attraction? Like I said previously, they are numerous. Formerly Yugoslavia’s and Soviet era Russia’s playground, Montenegro is home to historic Venetian walled cities, beautiful coastline, picturesque bays and soaring mountains that plunge right into the sea. The tiny Balkan enclave has attracted the rich and famous for many years – film starlets regularly visited in the 1950s. It is also difficult to see anything but positivity in terms of earning tourism related income, seeing as Montenegro has set its stall out to attract as much tourism as possible. Indeed, tourist numbers are predicted to be the fastest growing in the world according to the World Travel & Tourism Council (WTTC). But how does this affect the property market? You would imagine it should be positive. 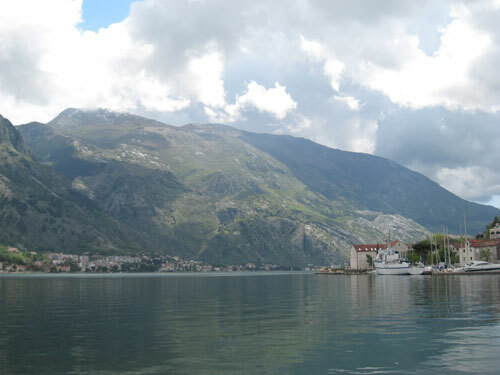 The more people that see Montenegro the more that are likely to fall for its endearing charms. Local agent Aleksandar Kovacevic says: “The property market is still in its infancy and therefore represents good value for money when compared to Croatia and Italy. Prices in Montenegro are currently about 40% lower than Croatia and we also benefit from being part of the Eurozone.” The latter point is certainly a benefit to Sterling purchasers, although less so now that the UK government has set its stall out to tinker with the currency. The government seems intent on focusing on elite tourism, and has stated that it is keen to avoid the over development that has blighted other European country coastlines. It has some experience in this regard, the tourist town of Herceg Novi is no oil painting and it seems they don’t really want to repeat that experiment. It is therefore granting planning permission mainly to high end hotels and developments along what is, largely, unspoiled coastline. Supply of new property is still at a fairly low level and demand is genuinely strong, especially from the Russian market. This should protect prices in the short term at least. The luxury villa development known as Sea Breeze in Kavac launched earlier this year and, according to the agents, it is already selling well. It is aimed squarely at the market for high quality larger properties. During the boom years prices spiked in places like the Old Town of Kotor, which is still home to many Irish and British owners. They subsequently dropped back significantly, which was to be expected, but there are signs of a recovery. Old town sectors like this are in very short supply, so you would imagine they will keep their value over time. It boasts wonderful medieval beauty – it will never be repeated and you would have to say, the setting is simply amazing. Former Irish Nationwide Building Society boss, Michael Fingleton, is still clinging tentatively to ownership of the old Fjord Hotel, the focal point of the fjord in Kotor, but in a derelict state at this point in time. While long-time readers will know that I’ve not always been a fan of off-plan developments and the level of risk they entail, in Montenegro you often don’t have much choice. Newer developments are far higher in quality than the existing stock, so your choices can be quite limited. This is where projects such as Sea Breeze in Kavac are hoping to capitalise. To assuage the fears of prospective purchasers the development is offering payment plans where the buyer pays in arrears at each stage, and has the title deeds to the property after the first payment. Since the beginning of 2011 capital gains tax was reintroduced in Montenegro at the rate of 9% – many thanks to those eagle eyed folks at Tivat Heights for this clarification. Either way, as a foreigner you’ll be required to pay the balance at home depending on the Double Taxation Agreement between Montenegro and your country of residence). One of the big bugbears of those who have tried to purchase in neighbouring Croatia is how difficult it is to effect a transaction there. Oddly enough, Montenegro doesn’t suffer from the same problems as it benefits from a sophisticated land registry system dating back to the time of the Austro Hungarian Empire. A number of the issues found in quite a few other Eastern European countries relating to title to property are thus not a problem. For more information visit the Foresight Montenegro website at www.the4-sight.co.